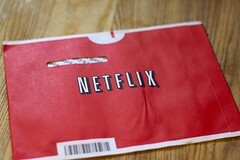 Will Netflix throw its customers under the bus for higher profits? Imagine for a moment that you’re the CEO of Netflix. The movie studios don’t really like you. They think low-cost rental services like Netflix are cutting into DVD sales, which have declined. So they come up with a plan to block rentals of new releases for a short time, perhaps a month. The question: do you oppose this plan or do you look to negotiate with the studios for some sort of benefit? sales-only window for a few weeks. If Netflix is going to play ball, however, it wants something in return: an approximately 50% reduction in cost. According to Video Business, the studios haven’t yet agreed but negotiations are apparently still ongoing. RedBox, which rents DVDs through kiosks, isn’t taking the same approach. It has already filed lawsuits in an effort to fight studio-imposed availability delays. But Netflix isn’t RedBox and there’s a good reason why Netflix is dealing with the studios: as much of 70% of its revenue comes from catalog rentals. In other words, it isn’t highly-dependent on having new releases when they first become available. The numbers suggest that cheap DVD rentals aren’t the only cause of the DVD sales slump. Obviously, the economy has played a big role. Additionally, perhaps it’s time the movie studios consider that their product just isn’t that compelling anymore, or that consumers are less willing to spend money on something that they know they won’t watch but a few times. Whatever the case, even if Netflix can benefit financially from making a deal with the movie studios, I’m not sure it’s worth it. A bad precedent will be set and if and when the movie studios learn that cheap DVD rentals aren’t the source of their problems, consumers will have paid for this costly assumption with choice. Photo credit: cogdogblog via Flickr.